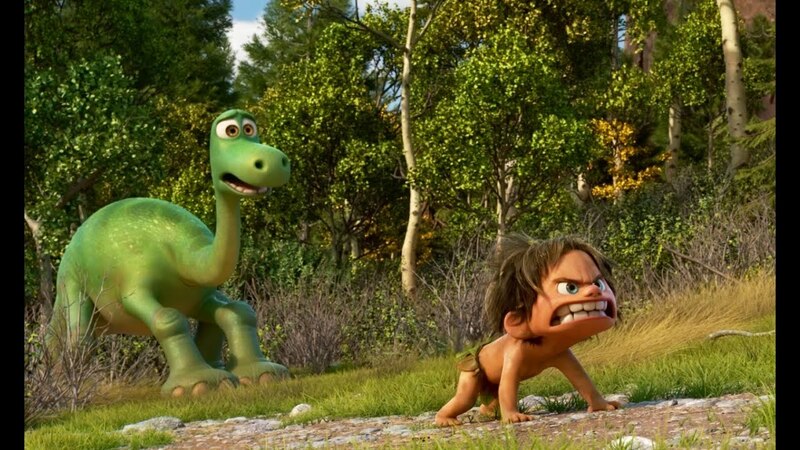 The Good Dinosaur is a story that takes place if dinosaurs still walked the Earth. It’s centered on a young dinosaur, Arlo, who is afraid of everything and can’t seem to make his mark in life or with his family. After a series of tragic accidents Arlo ends up lost, miles from his home, and blames a “critter” (a human boy) for all of his misfortune. Somehow, he must find his way back home through the dangerous countryside. He reluctantly starts a friendship with the aforementioned human boy he names “Spot” as they struggle to survive. The movie gets a lot of humorous mileage out of the dynamic duo of Arlo and Spot. 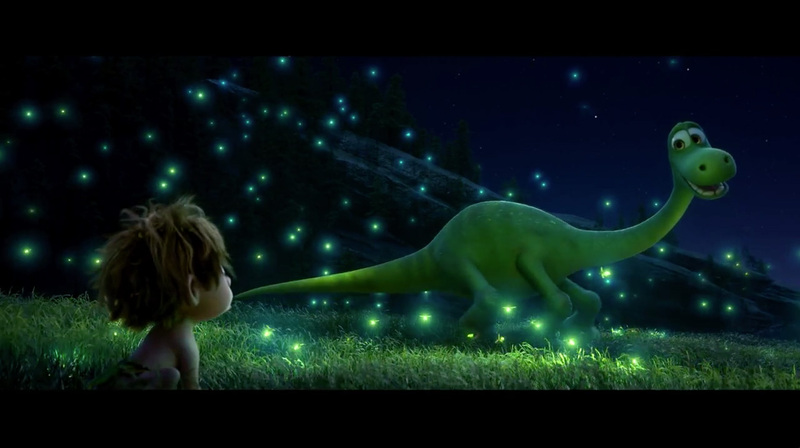 Arlo is the emotional core of the movie. Despite his fearful nature, he’s really a brave and lovable goofball with a heart of gold. Spot, meanwhile, is his mirror opposite--wild, unkempt, brave, and extremely loyal. He’s a daring rascal who has his own tragic past. Their budding friendship never feels forced. They feed, protect, and learn about the other and get into several crazy mishaps along their journey. Spot becomes the very catalyst for Arlo’s transformation from coward to hero. He inspires Arlo to be brave and helps him to grieve. Their relationship grows from one of resentment (on Arlo’s part) to one of true friendship. Although The Good Dinosaur isn’t one of Pixar’s “great” films, it's still a funny and entertaining movie. It’s brilliantly animated and voiced with the professional ease you’ve come to expect from a Pixar film. The movie plays on western tropes like cattle herding, rustling, and just plain old farming. This may sound a tad uninspired but it’s often played for laughs. The antagonists are terrifying in this otherwise sanitized world and have a neat “reverse Jaws” moment near the end of the film, but they aren’t very memorable and only appear briefly. The other characters although humorous were never deeply explored, so we only really get to know Arlo and Spot. 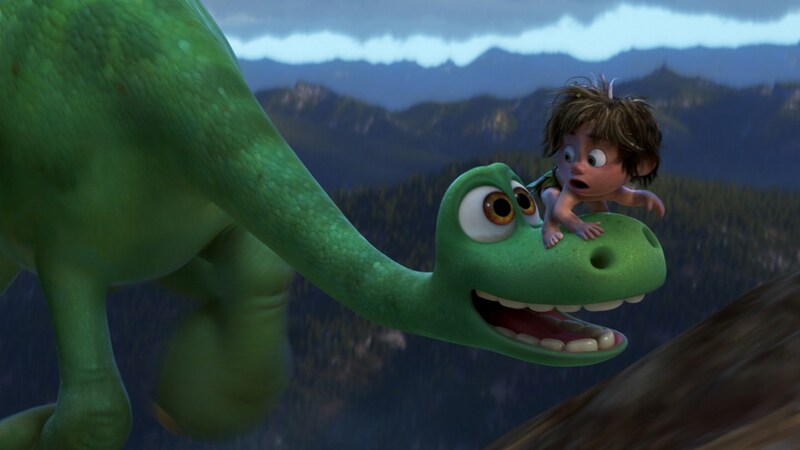 Unlike Pixar’s other films which have more complex themes The Good Dinosaur’s are relatively simple: Arlo must learn to overcome his fears and realize that having fear isn’t the same thing as not having courage. He also learns the value of family, friendship, and most of all acceptance. Acceptance of fear, pain, and loss. The Good Dinosaur is fast flowing and easy on the eyes. It’s only drawback is that its story is relatively simple, which isn’t really a problem, except in regards to Pixar’s previous films like Wall-E, UP!, or Toy Story 3 (to name a few). This film takes the well worn coming of age tale and adds a new spin with the “dinofied” American West as its setting. It’s just not as original or memorable as their previous classics. In any case, this is a solid addition to the Pixar canon, a touching tale of loss, overcoming one’s fears, and the importance of the bonds of friendship and family. Pixar is as reliable as the sun rising in the east, and once again they’ve made another quality film. So take your kids, or go see it if you like first rate animation; either way, you can’t go wrong.